The last five years, this record has been sold only two times on ebay. I was fortunate to buy one of them. 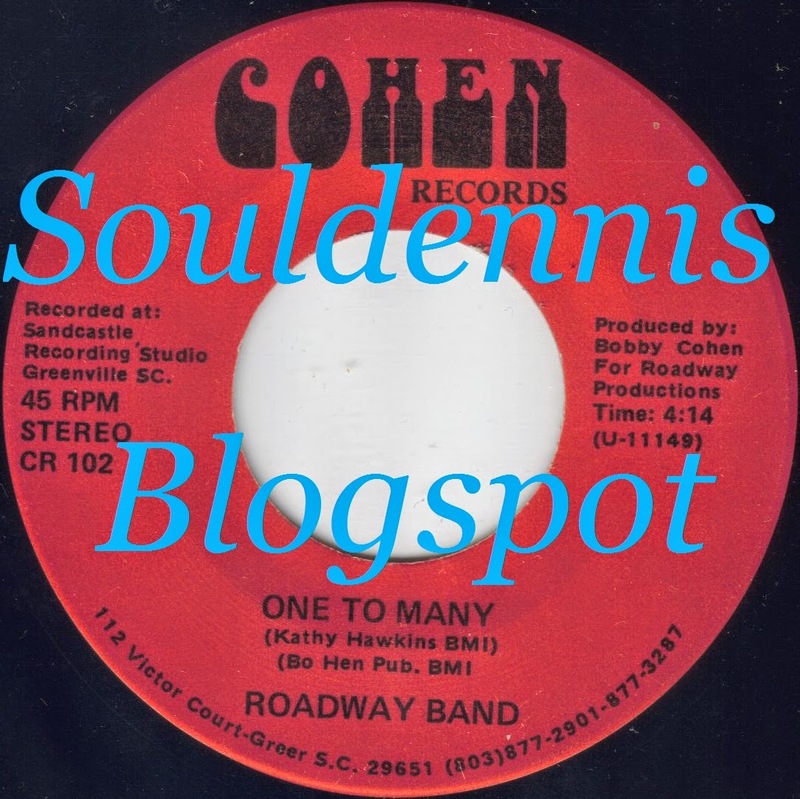 Roadway Band was probably formed by the drummer and producer Bobby Cohen from South Carolina. He was owner of the label Cohen Records. The singer of the group is Kathy Hawkins who wrote the song "One To Many". The other song "Break Music" was written by Ray Jackson. Both songs were recorded at Sandcastle Recording Studio in Greenville South Carolina. In 2009 Kathy Hawkins collaborated with legendary Clarence Carter. Both appeared at Harrah's Tunica Event Center. Next year she released an album CD under the name "Kathy Sings" on Cee Gee Entertainment.